IT MAY BE obvious to say you should be careful when you are shopping online, but when you’re in the hunt for a bargain or a much sought after item, such advice can go out the window. 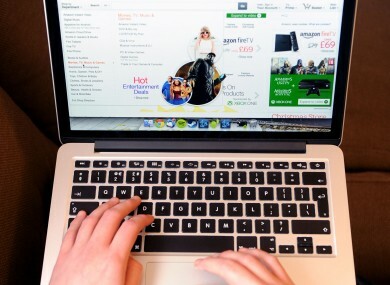 With three in five of the population now buying items online, it’s essential that you take the precautions necessary so you don’t fall into any trouble. An obvious one but you’re eyeing up something from a site you’re not familiar with, it’s best to check for certain details first before purchasing. - Their identity and address. - Description and price (including any taxes) of the item you want to order. - Any reviews or mentions of the site from other customers. - Delivery costs (if there are any). - Information on how to cancel the order (if you can cancel it). - How long the offer or price remains valid for. - Confirmation letter or email about your order. - A geographical address where you can send complaints to (A PO box number on its own is unreliable and is usually a sign that you shouldn’t trust the retailer). - Details of any guarantees or after-sales services. - When the website was created. If a site was only created recently, that could be a warning sign (use a site like WhoIs to check when a domain was registered). It may seem like a lot but it’s important you have this information on hand first in case any problems arise. If you’re missing some and you experience issues, then you’ll only find yourself in greater trouble. The Director of the European Consumer Centre (ECC) Ireland, Ann Neville, recommends researching before you purchase from an unknown seller, saying the first time a consumer does a search is when “something fails to arrive or when they run into problems”. Don’t fall into that trap and research in advance. You’ll thank yourself later if you do run into problems. Anytime you visit a site with an item you want to buy, make sure you check the URL first before entering in any important information. If you’re entering in payments on a HTTP site, that means your data isn’t secure. Instead, what you should be looking for is an HTTPS site. The extra S stands for secure, and it should feature on the payment and personal info page. A padlock will also appear beside the URL so you will know for definite. Regarding protection, credit or debit card is by far the best option because of chargeback, which provides an extra level of protection for consumers. If something goes wrong and the seller doesn’t refund your money, you should contact your card provider (the bank or credit card company who issued it) straight away. The more information you provide, the easier it is for the card provider to verify your claims and refund you. Fraud, where the cardholder didn’t approve a transaction. Item quality where it’s either faulty or not as described. Not recognising the transaction on the receipt or statement. That said, you do need to be careful about the type of card you’re using. If you’re using Visa, Visa Debit or Mastercard, you can use chargeback if the goods aren’t delivered. Debit card schemes like Laser or Maestro won’t allow chargeback if you didn’t receive the goods. Under no circumstances should you use a money transfer service like Western Union to pay for goods, regardless of any deals or offers that might be included, as those transactions cannot be traced. Neville says if “a site offers a 20% discount for paying through bank transfer, run a mile”. This is good advice in general but don’t click on any links or URLs you’re not familiar with or any pop-up advertisements. If it comes from an unsolicited email or text, then you should avoid it at all costs. Also, don’t enter in sensitive details like card info over an unsecure connection like public WiFi as this puts your details at risk. Just because a site has a .ie, co.uk or similar European domain name, it doesn’t mean their offices are located here. It’s vital you check first before you make a purchase because if the buyer is located outside the EU, then you don’t have as many rights and will have to pay customs and other fees. Upon receiving your order, you have 14 calendar days to decide whether to withdraw your purchase and return to the seller. You don’t have to provide a reason, but you may have to pay for the return of the goods. Bear in mind that some items are not covered by this like perishable goods, travel tickets, hotel bookings, personalised goods, and services that already begun (downloading an app or music/film file) before the end of the 14-day period. If goods purchased aren’t delivered within 30 days (unless you agreed a longer period in advance with the seller) then you have the right to cancel the contract. You can cancel before the 30-day period if you needed an item before a certain time (e.g., a wedding cake was ordered but not delivered in time for the wedding). If the buyer said delivery before a certain date was essential and the seller agreed to it, then you can get a refund if this is not honoured. Under EU law, any faults that occur within six months of the goods being delivered are presumed to have already been there at time of delivery. The seller can offer a repair or replacement, but if it’s not possible or satisfactory to the customer, a refund can be requested. This must be processed within 30 days. ECC Ireland has an ecommerce report that goes into further detail about shopping online and if you have a dispute and it’s within the EU, the ECC can help you for free. If you buy goods from outside the EU, then you are no longer protected by EU consumer laws. This means it’s vital you research the seller first before you decide to purchase anything. If an items costs more than €22, you will have to pay VAT, and if it costs more than €150, then customs duty may also be payable depending on the type of good and the country you’re buying it from. This is added to the full value as well as the cost of postage and packaging. Revenue advises caution if sites offer to undervalue said items to avoid import duties. This is illegal and the shopper is legally responsible that all duties and taxes are paid (since they’re importing the goods in the first place). Also, if a site promises delivery from within the EU, as a way of removing any import charges, but are shipping their products from outside the EU, you will still have to pay duties and VAT. If a site promises to deliver from within the EU but are actually shipping from outside it, the buyer will still have to pay duties and VAT. Also, all goods bought from outside the EU require a customs declaration, usually completed by the sender, which includes a description of the goods, the value and whether they are gifts or commercial items. Any info omitted can result in delays. Generally, Revenue will write to the buyer requesting a copy of the purchase invoice for goods. If that isn’t available, a PayPal receipt or print-out of the digital receipt will suffice. To give an example, here is how much a $649 (€582.06) smartphone from the US would cost if you ordered it here (the figures below were provided by Revenue). To start off, you would have to calculate the cost of the item as well as postage and insurance first. After that, you have to add customs duty (if it applies), VAT and a handling fee from An Post (€7). So overall, you’re paying an extra €159.63 on top of the item’s cost of €582.06 so remember that even if something is cheaper, the extra costs may make it more expensive. Email “So what do you need to know before shopping online?”. Feedback on “So what do you need to know before shopping online?”.